When my wife Ann and I were in New Orleans in January, we felt the need, after a great Po Boys and beer at Parasol’s in the Garden District, for one more afternoon libation (as you do in NOLA). We stopped at bar someone recommended down the street. I believe I asked for a boulvardier. Bartender shook his head. I said, negroni. And those were the drinks I saw poured in 1960s-70s suburban Cleveland growing up. Gin n Tonic, Scotch n Soda. It wasn’t till I hit New York and shared an apt with aspiring writer, now pre-eminent literary biographer (currently at work on P. Roth), one Blake Bailey, that I was introduced to a wider range of cocktails. I’ve written about the Julep Blake showed me. The second important cocktail Blake introduced me to was the milk punch (he fresh out of Tulane in New Orleans). He mixed me one on a crapulous Manhattan Sunday-after, and I thought it a marvel. Milk and booze–it had never occurred to me. But what a delightful elixer. 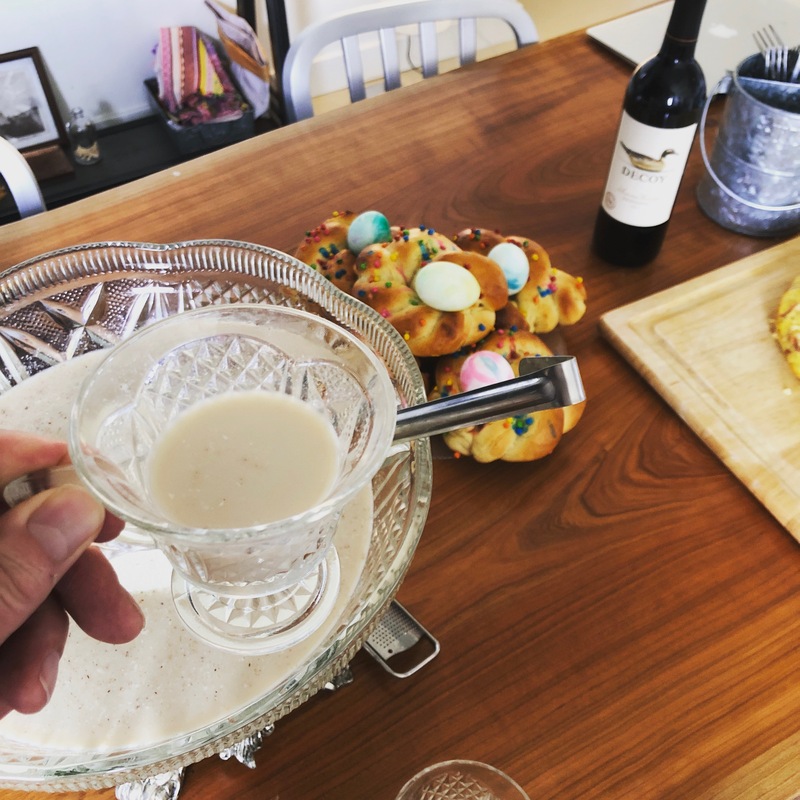 Since then, I have had many a milk punch, and it was the milk punch my beloved Ann Hood requested to serve a big gathering of Gogo’s clan on Easter (God rest her wonderful soul; it was the family’s first holiday without Gogo). 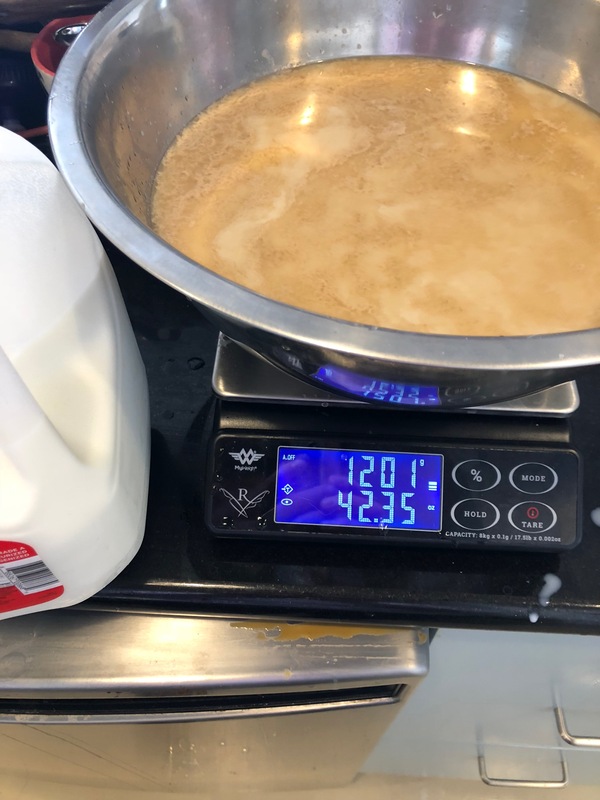 Having my new reintroduced Maestro scale on hand—and I LOVE this scale (all initial glitches solved); it comes with my baking ratios—I decided it was time to make a proper ratio for a big batch of Bourbon Milk Punch. 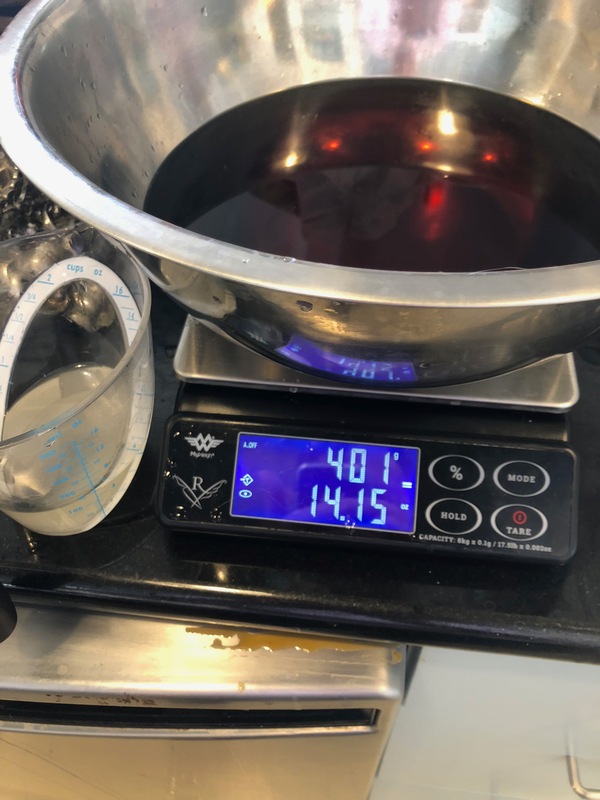 You may of course measure liquids by volume, but I wanted to put the awesome Maestro to work: one bowl, one scale. It’s a dead simple ratio and worth having in your entertaining arsenal. See photos below, rounding off of course, for an exact recipe. I make simple syrup by combining one cup of water with one cup of sugar, or more as needed, and dissolving in microwave. Here’s to you, Blake. Finish that biography before Roth (finally?) gets the Nobel. 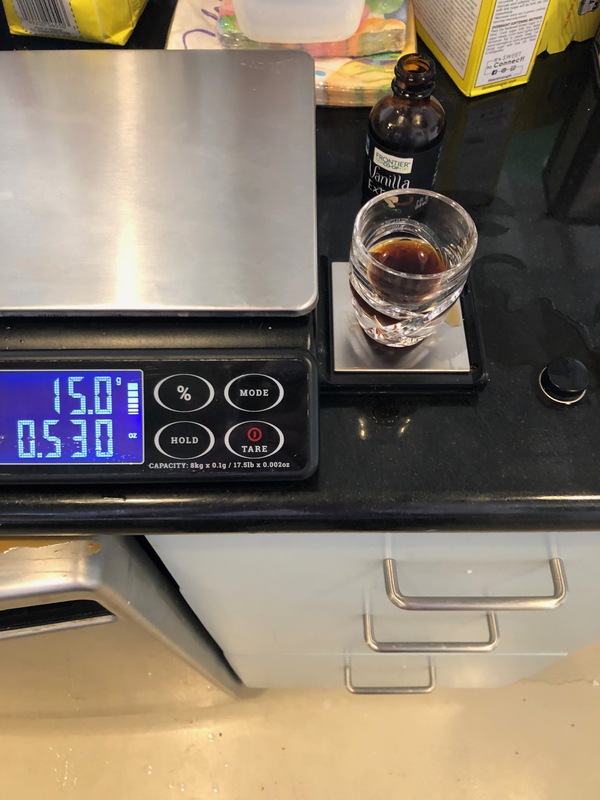 Combine liquids, season with vanilla and nutmeg to taste (0.5 parts vanilla, actually, I weighed), and serve. Think ahead: freeze a half gallon carton of milk, and use this for the ice cube. The below recipe will give you about 12 cups of punch or 24 servings. 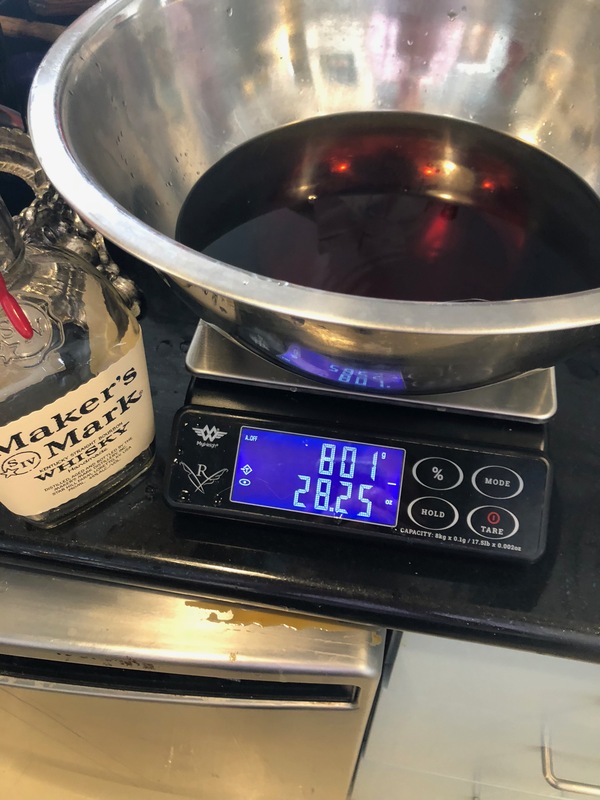 800 grams/milliliters bourbon (one 750 milliliter bottle will do, I just like neat ratios when the work). and 1200 milliliters whole milk. 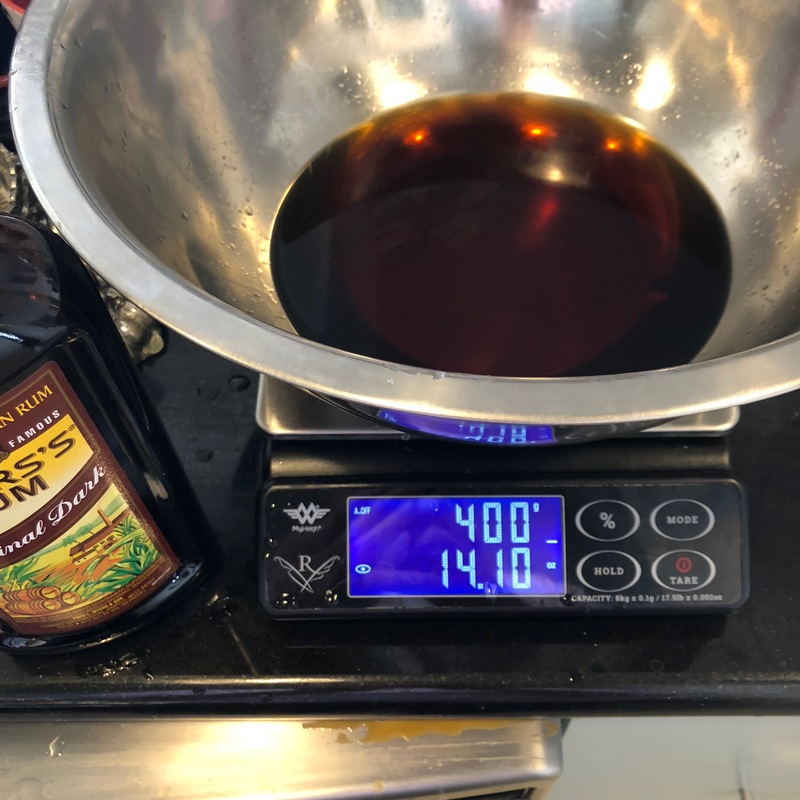 Of course, since I want it to be a complete ratio, I also weighed the vanilla on the little pullout scale on the side, which measures .1 grams if you need. LOVE this feature. And love scales. And love Bourbon Milk Punch! That’ll remove the scales from your eyes! I’m glad to see that you’ve been bitten by the grams bug and are no longer using ounces. Request: if you do a new version of your Ratio book could you add a chapter on pickles? For example, a refrigerator pickle ratio of water, vinegar, and salt. What was the name of the bar that only served N drinks? dont remember, one block down, on corner of magazine and whatever parasols is on. The place at the corner of Magazine and 3rd is Tracey’s, https://www.traceysnola.com/ which was the original location of Parasol’s. They have a full bar, and they will make you a Negroni. We were poorer. Our ‘n’ drink was Seven ‘n’ Seven. Seven Crown Canadian whiskey and Seven-up. I wish I had known you were in town! Come on back down for Jazz Fest and we can help you have a little more fun 🙂 Glad to hear that you took a break from Rhode Island this winter… Quite a civilized decision. Welcome back; you’ve been gone much to long. I, for the most part, avoid milk and alcohol beverages, but the Bourbon Milk Punch sounds like a good idea. It’s such a creative drink, your friend should sell it and find out how to patent an idea. I have to commend your attention to detail in obtaining the perfect ratio.